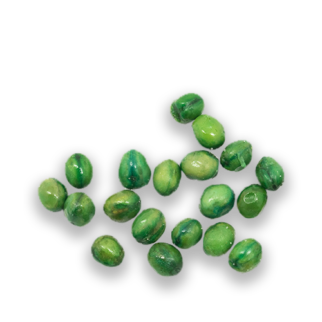 Fried green peas are a very popular veggie snack item (even for the picky eaters!). They can be eaten by the handful, sprinkled on salads, or used in dried vegetable mixes. Like other veggie snack items, our green peas are vacuum fried for maximum crunchiness. Malaysia is our primary source for fried green peas. Peas are one of the world’s healthiest foods, helping boost the immune system, improving bone health and inflammation, regulating blood sugar, aiding in digestion, and preventing heart disease.